A concept map has been developed for each scenario of the Hydroville Curriculum. The maps are useful tools to share with students. 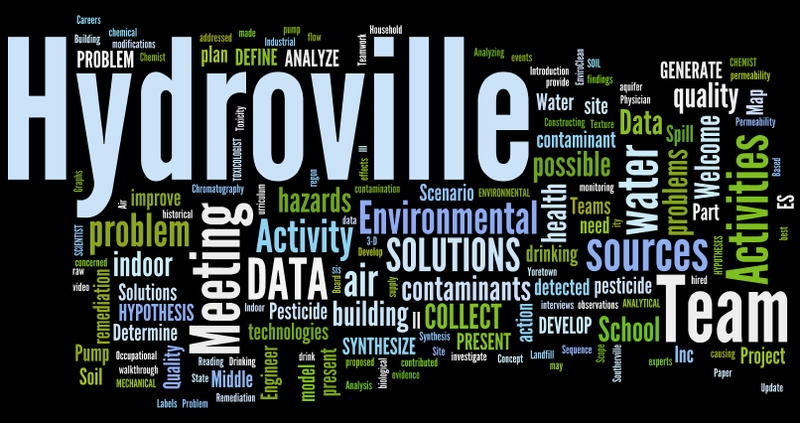 These maps help them see the the expertise and process for solving a real-life environmental health problem. For each curriculum, students take on the role of different careers. Activities are included for students to learn more about environmental health careers. Refer to the resources provided for each of the scenarios. We will continue to add resources.